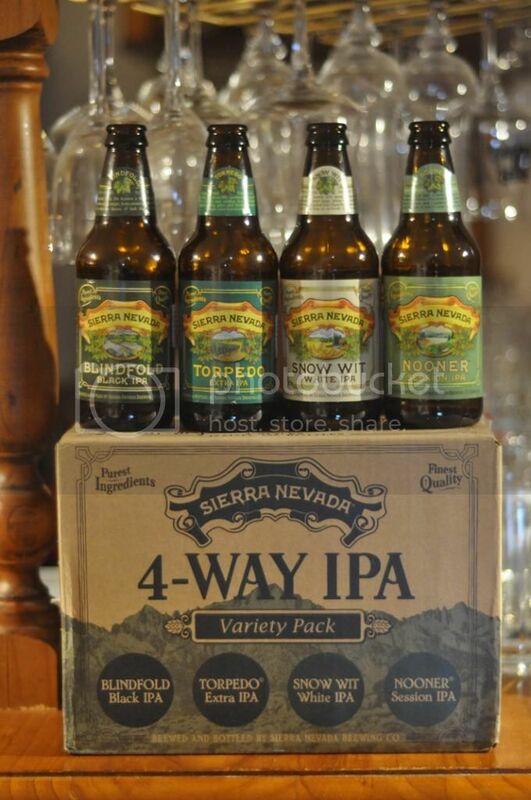 Sierra Nevada's 4-Way IPA Variety Pack is showcase of craft beers most important style. Latching onto the recent trend there is a session IPA (or low ABV IPA), a wheat based IPA, their regular IPA - Torpedo and last but not least a Black IPA! This is a pack of IPA's that I was really excited to see make it to Australia. It was all over my Untappd and Facebook feeds and it was something I just really needed to try. 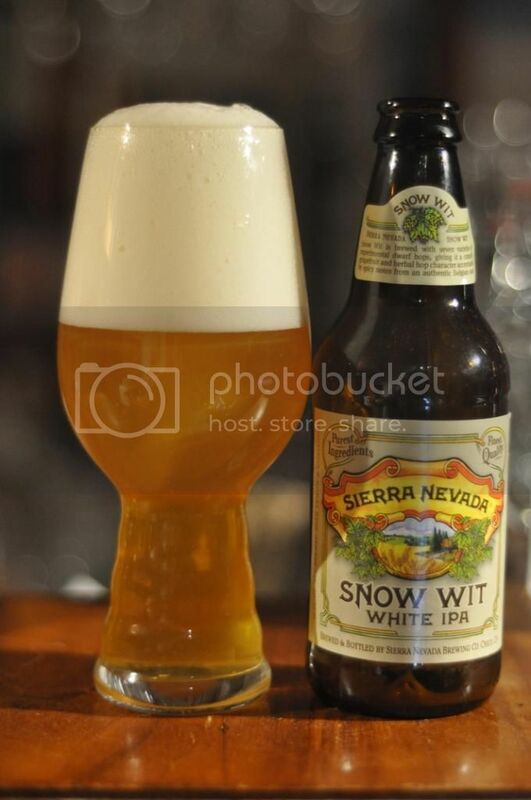 Sierra Nevada make some really good hop driven beers and this seems like an opportunity for them to showcase their skills. After a busy morning fixing the electricity in my bar (again!) 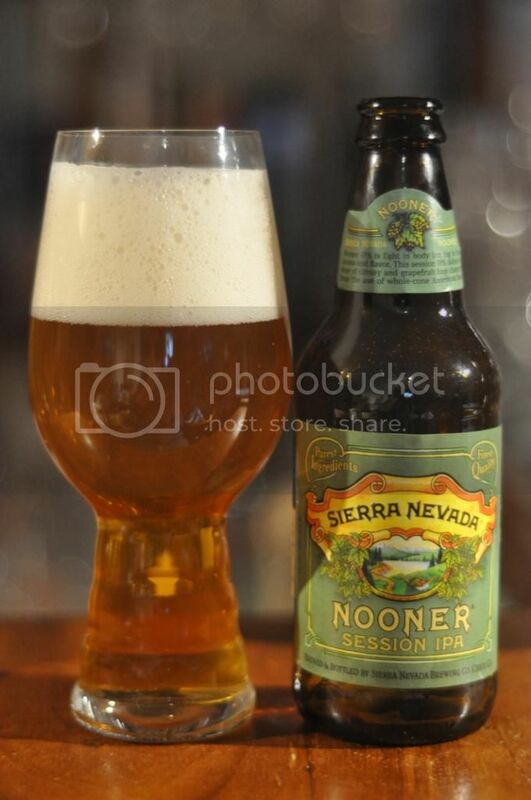 I settled into the Nooner Session IPA. The one big positive to come out of crawling through the roof is that we now have all the lights working again - and the camera can return to replace the iPhone photo's. The nose was disappointing on this beer, light malts a small hint of citrus hops - very much like a pilsner worryingly. Snow Wit was my second beer in this pack and it was the beer I was most intrigued to try. The name is brilliant - it's brewed with 7 experimental dwarf hops (grown on shorter hedges rather than tall rows of plants), while wit is the Belgian word for white. In the beer world white = wheat. So in summation it's an IPA made with a predominantly wheat base with a clever name. The nose is quintessential Belgian wit; citrus, coriander and orange peel. As the beer warmed there was evidence of some grassy and piney hops but they were nowhere near as apparent as they were to taste! The hops were powerful but the wit characteristics were not overpowered. It had quite a light body and a dry finish, which complimented the flavours beautifully. Third for me was the regular IPA from Sierra Nevada's range; Torpedo. I reviewed this years ago, you can read it here. (I didn't even read it again so no idea if it was a good review or not...) Anyway the nose of Torpedo is aggressively bitter, with pine and grapefruit the most prominent hop characteristics. 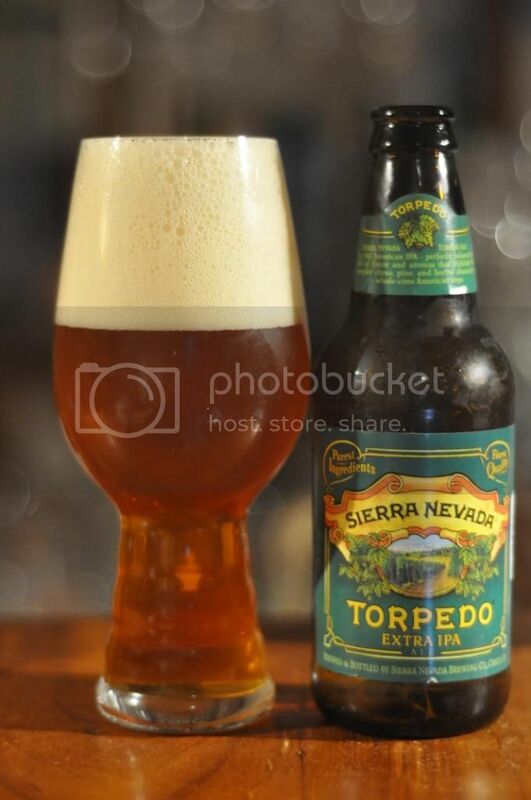 Sierra Nevada's Torpedo is one of the reasons that this blog still exists, almost 3 years after since it started. This IPA was groundbreaking for me then and still blows me away every time I have it! The malt backbone is caramelly but it is the hops that take centre stage here. They are as resinously piney as they come, while grapefruit also is present. I love this beer! I am thrilled that a Black IPA gets in this pack. It's one of my favourite styles and is starting to become more widespread, which this pack can only help. The colour of this beer is as black as I've seen for the style, while the head is a little bit lighter than usual. The head retention was excellent as well. 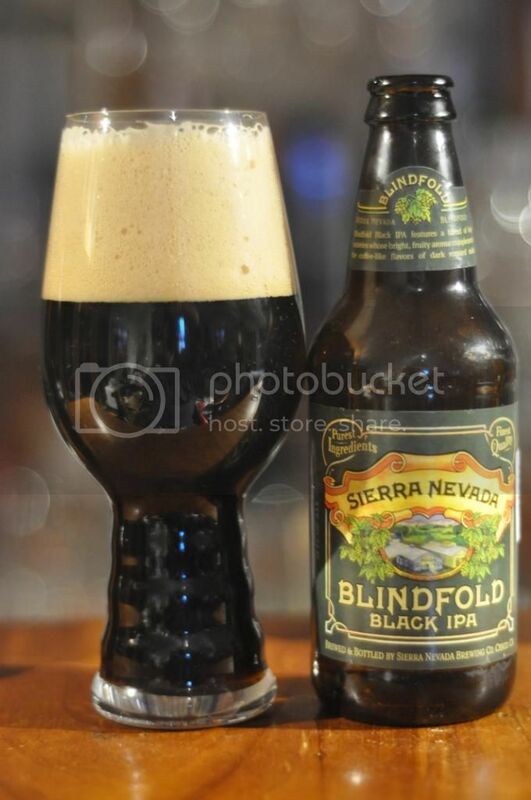 Blindfold had an unusual nose for a Black IPA with hops dominating the malt initially. This did change as the beer warmed however, with the roastiness becoming more pronounced. This translated to the flavour where roast, coffee and a little chocolate malts mixed perfectly with floral and piney hops! The mouthfeel was lightly creamy and really set the whole thing off perfectly. Well that was a pretty good pack and one I would recommend IPA lovers give a go. Sierra Nevada are one of the few breweries that I buy everything they brew, regardless of style or wraps, as they just consistently produce good stuff. I've had better Session IPA's than this one, but it wasn't bad. Snow Wit was a nice hoppy Witbier and Torpedo was it's usual brilliant self. For me though the pick of the bunch was the Blindfold - I loved it!